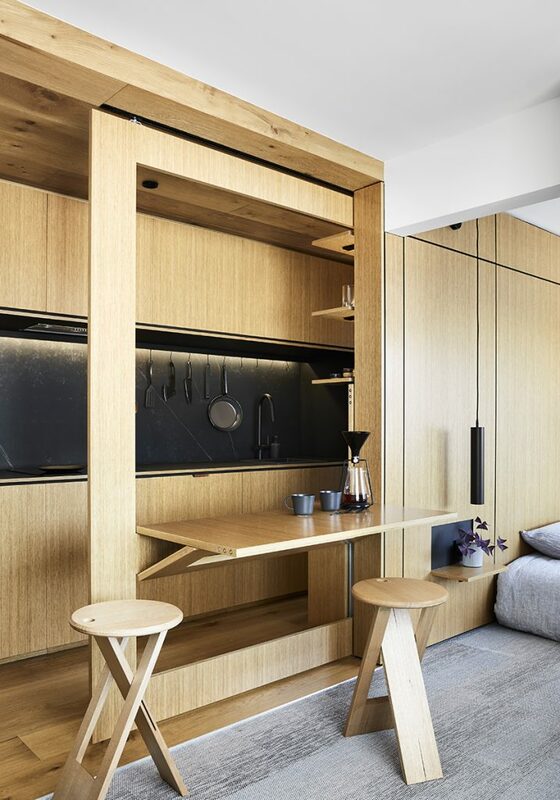 It was only a matter of time before the tiny home movement evolved into the apartment sector, and this micro-apartment in Richmond, Melbourne, from Tsai Design is a prime example of the evolution. ‘Micro’ is definitely a good description of this apartment. 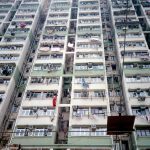 When the owner first purchased it, the apartment measured only 35sqm and was without a working kitchen. 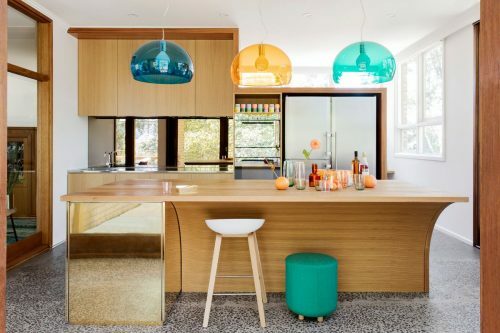 The tiny renovation has made this space feel much bigger. 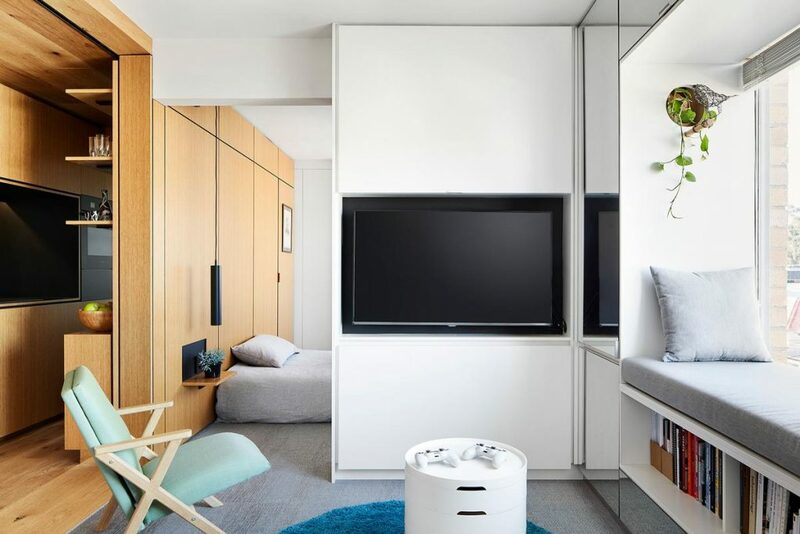 Tsai Design, a multi-disciplinary design practice based in Melbourne, took on the challenge of refurbishing the unit – a challenge that required a lot of ingenuity and innovative interventions. 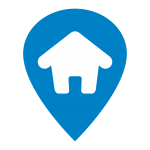 The basic layout of the apartment stayed the same. In order to create the feeling of more space, the designers had to introduce flexible furniture and features. The kitchen leads into the stylish bathroom. One example is the way the walls fold into different configurations and then tuck into each other. For instance, the dining area is configured by pulling out a wall that folds out to provide a table. Collapsible stools provide the seating and can then be folded up and stowed out of sight. The home also has a pull-out dining table. 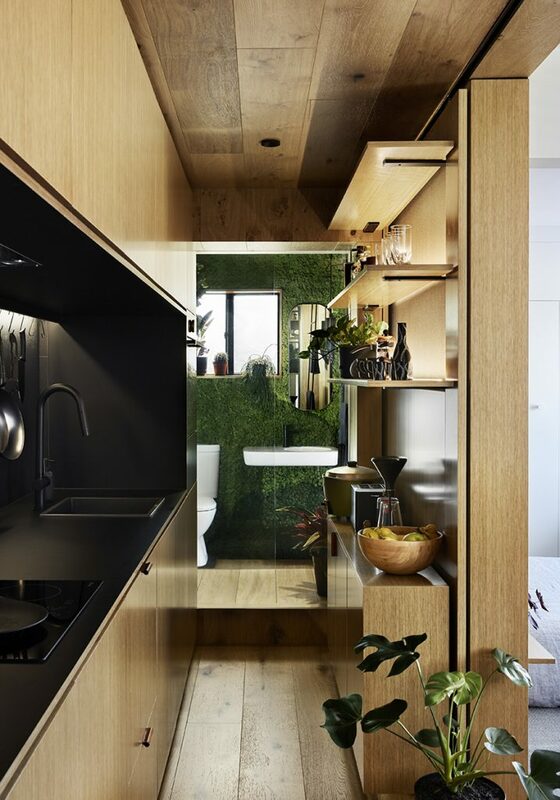 The architect wanted to bring in a feeling of the outdoors, so he included a ‘green’ wall in the bathroom – the wall is actually living moss. 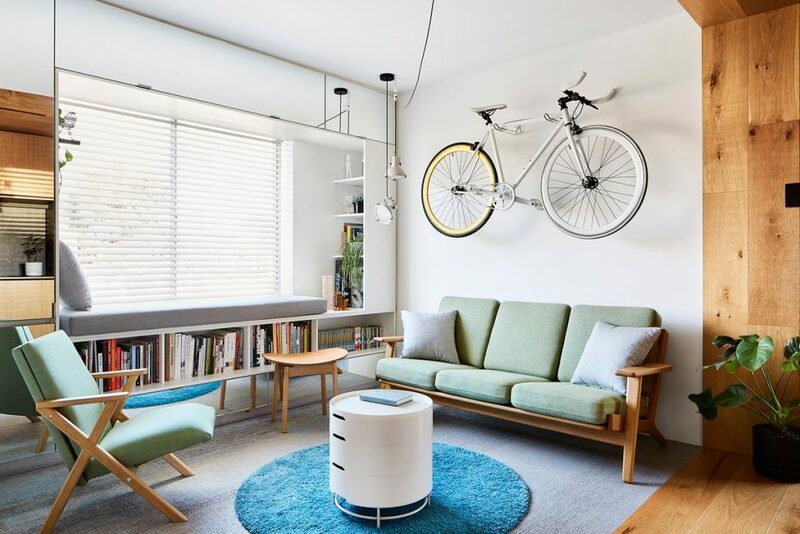 Tsai Design took the 1970s space and transformed it into a one-bedroom apartment with a home office and a hidden kitchen. 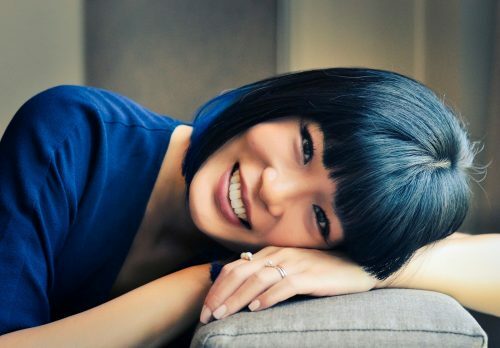 The firm stuck to its philosophy of questioning the practice of living in excess – with too much space and a number of belongings — and paired this all down to create a smaller, more comfortable living arrangement. 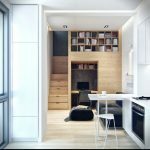 This article was originally published as This micro-apartment in Melbourne is just 35sqm by www.realestate.com.au and is written by Man of Many.